Here at DroneUplift we love to keep you up to date with all the latest drone parts from motors, to antennas to transmitters. Therefore, this week we have compiled a list of the top 5 best mini quad frames for 2017. There are a few things you need to bear in mind, as with any of these top 5 lists. These lists are subjective to the person writing them (me!) Therefore, what I think to be the top 5 maybe different to someone else’s opinion. However, with that being said, it is also paramount that you know that I have spent many hours of research (reading through forums and facebook groups) and countless hours testing loads of different frames out on the field. Thus, this article will give you a pretty good idea of what the top 5 best mini quad frames for 2017 actually are. The DemonRC Fury is easily my favorite mini quad frame. Upon its release, it took the drone community by storm and I’ve been using it as my ‘go-to’ mini-quad frame for some time now. 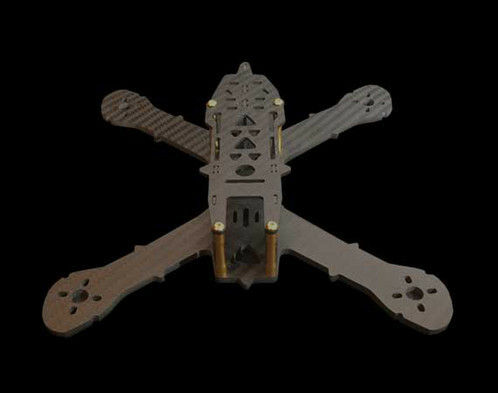 The quad has been designed to be incredibly lightweight, weighing just 72g when fully assembled. This means that it can reach incredibly fast times when racing on the track yet at the same time it is also perfectly built for acro flying. This is because it has a wheelbase of just 205mm, making it agile and nimble for different manoeuvres. You would think that with such a light frame, the drone would lose some strength. However, this is far from the case with the DemonRC Fury. The arms are tough 4mm, made from 3k Twill weave carbon fiber whilst the Top plate, Center Plate, Bottom Plate are each made from 1,5mm 3k Twill weave carbon fiber. I am yet to break this quad despite having many crashes. Even when you do crash, the arms are very easily replaceable meaning you don’t have to buy an entirely new frame every time you break them. I think that the DemonRC Fury hits the sweet spot between performance, weight, and price. 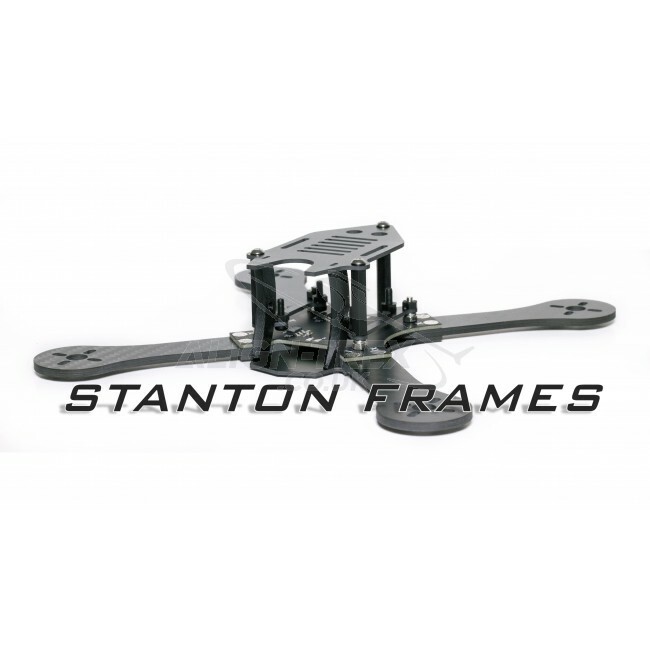 At around 80 bucks, whilst expensive, you are buying something which is high quality and the best (current) mini quad frame on the market. I highly recommend that you buy this frame. The Dquad Obsession was created by Davis Helvensteijn, the founder of Dquad frames and oh boy is this a slick frame. 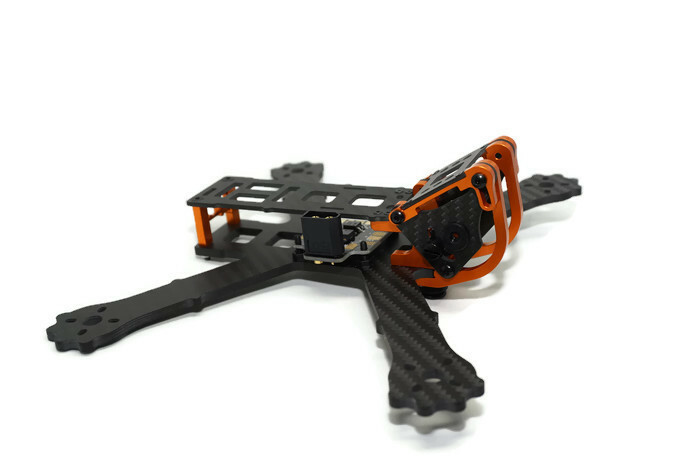 This frame is built using a very unique pod design that has been reinforced with an aluminum role cage – the first ever frame to do this. I would happily bet money saying that you are not going to break this pod. Period. The only thing that could possibly break are the arms, and even if you do break them, they are just 5 bucks to replace. It comes with a custom PDB – it’s a basic PDB with no 5V or 12V outputs – just direct lipo power. This will be fine for some people, but should you wish to replace it and use your own PDB then you can very easily replace it with the extra plate that they provide. Usually, when a perform both looks and performs this well, it comes with a price. However, the Dquad Obsession is very reasonably priced about 100 bucks. It has the strength of a tank and the nimbleness of a butterfly. The Armattan Chameleon is a fantastically well-built frame. Whilst its low profile means you’re going to have to create a tight build, it also means that your frame has a lower center of gravity. This thing is tough since it is made from predominantly aluminum. 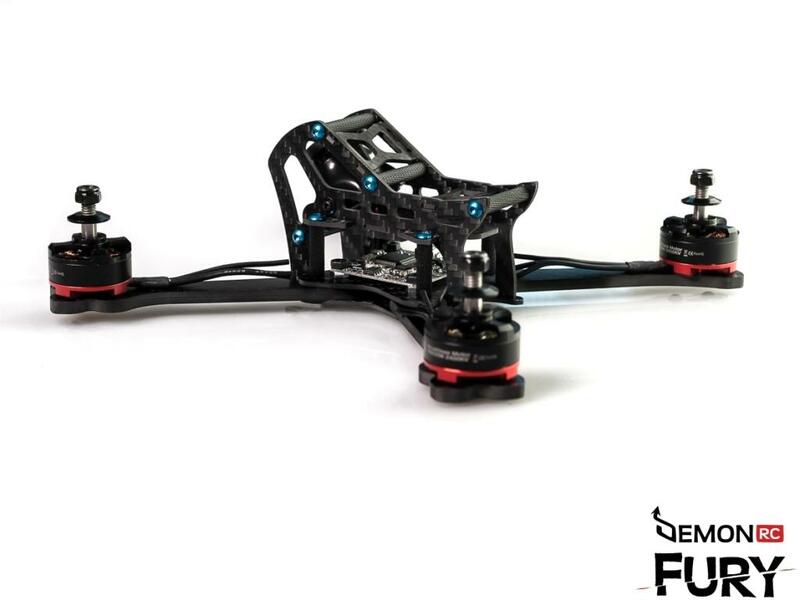 Furthermore, Armattan also installed a camera cage on the front of the frame, which protects your FPV camera and allows you to mount an HD camera on top of it too. One thing that is very important to know, unlike other frames on this list, is that the bottom plate is a unibody design meaning if an arm break or cracks then you cannot just replace it. However, the life time warranty that Armattan provides shows that they are confident that this won’t happen, and if it does you’ll get a replacement. I’ve been using this frame for a couple of months – yes I’ve crashed it but no I haven’t broken it. The Sloop PiratFrame isn’t built for those of you who are trying to be the fastest around the track. Nor is it built for those who are trying to maximize their acro potential – this frame is not built to be the fastest or the most agile. Therefore, you probably wondering why it is number four on the list? Simple. The Sloop PiratFrame is a great allrounder, built for those of you who are looking for decently quick and nimble frame but also one which has some extra space to make sure you can fit in all of your components. You see, whilst this frame is heavier than the ones shown above, not everyone is looking for speed or agility. Instead, if you are looking for a good frame that you can simply enjoy flying and won’t be a pain to squeeze in all your components, then the Sloop PiratFrames is for you. The TSX200 was used by Luke Bannister the champion of the DR1 Invitational event in Los Angeles where he won. You can probably guess then that this is a very light (78g) and quick frame that is agile and easy to fly. The frame itself is cut from carbon twill sheets and can hold up to 5 inch props. One feature that we really like is how each arm only requires one bolt and therefore this makes the frame stronger, more simple, and faster to replace the arms. Thank you for reading this top 5 best miniquad frames of 2017. If you have any suggestions or would like us to test/review any frames for our next list then feel free to comment down below. This is a really great, useful post for drone hobbyists getting into customizing, modifying, or building their own drones. Interesting that all the frames are x-configured quadcopter drone frames. It seems like the reason for this is that most drone parts and components are designed with this particular type of drone frame in mind.